“The man who refuses to judge, who neither agrees nor disagrees, who declares that there is no absolute and believes that he escapes responsibility, is the man responsible for all the blood that is now spilled in the world. Reality is an absolute, existence is an absolute, a speck of dust is an absolute and so is a human life. Whether you live or die is an absolute. Whether you have a piece of bread or not, is an absolute. Whether you eat your bread or see it vanish into a looter’s stomach, is an absolute. Rev Paul Emeka, a Former General Superintendent of Assemblies Of God Nigeria was suspended on Thursday 6th March 2014 by the General Committee of Assemblies Of God Nigeria for abusing his office especially when he Instigated his Cronies’ to file a Suit attempting to stop the proposed meeting of the General Committee. Despite all his Intimidation, the Church did not bow to Pressure and Surrendered Leadership for threat. 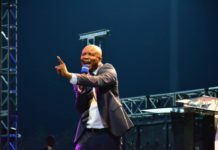 However, Rev Paul Emeka activated Machineries in the Media and Security Sectors to fight the Leadership of Assemblies of God Nigeria. The Church Initially did not respond to the Court Cases and Media Attacks until the Enugu High Court started making orders in an effort to Commit the Retired General Superintendent Rev Dr Charles Osueke, Retired General Secretary Rev Dr John Ikoni, the Current General Superintendent Rev Dr Chidi Okoroafor, AGS ,Treasurer Rev Dr Vincent Alaje etc to Prison. In one of the Court Cases, these Church Leaders were forced to appear in Court and their case hanging on the ruling of a Judge who was Compromised to commit them to Prison, if not the Speedy Intervention of the Former Attorney General of the Federation Chief Kanu Agabi(SAN) whose appearance changed the narrative of the ruling of that Court. What Could be said of the Actions by some Suspected Thugs who were Deployed to the National Secretariat of Assemblies Of God Nigeria to attack the Executive Committee Members holding Meeting at the Board room of Evangel House Enugu, the Thugs Succeeded and maimed Respected Leaders of the Church and some of them are still undergoing Medical Treatment as a result of that Particular Attack. The Current National Youth Director of Assemblies Of God Nigeria escaped Death by whiskers when an Order for his Killing was given simply because they said he was a Son of Rev Dr Chidi Okoroafor, his car was burnt to ashes and some part of his body damaged with Heavy Iron. The Police were Compromised and Invitations started coming from Abuja, on Several Occasions efforts were meant to Publicly embarrass the Former General Superintendent Rev Dr Charles Osueke and the Officers of the General Council on the Orders of Rev Paul Emeka who was at that time aided by the then President of CAN Pastor Ayo Orisetjafor. 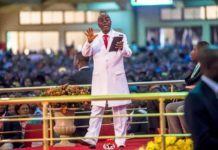 The Leadership of the Church in a bid to avert bloodshed Left the National Headquarters of Assemblies Of God Nigeria and started Administrative Functions at Evangel Camp Okpoto. 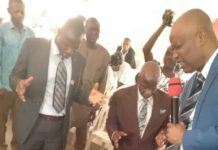 In the heat of the attacks, Many Pastors Loyal to the General Council were attacked, nobody was ready to speak in Public over fear of being attacked by agents working with Rev Paul Emeka, yet the Church of Jesus Christ was marching on under the Superintendentship of Rev Dr Chidi Okoroafor. 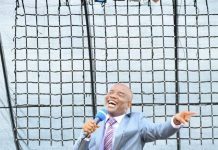 In March 2016,the General Council of Assemblies Of God Nigeria took the Gospel to ABAK, planted over 50 Churches and 1000 Souls were added to the Kingdome despite the provocative attacks by Rev Paul Emeka against the Church. Rev Paul Emeka believed so much that he would win the case against the Leadership of Assemblies of God Nigeria which was the reason he wrote several petitions against its Leaders awaiting the outcome of the Supreme Court Judgement to commit them into Prison, but was disappointed after the Court Dismissed his Case. Some of these Leaders have lost their Loved ones in controversial Circumstances, for Example in November 2016,armed Cultists Invaded the House of the Residence of the Daughter of the Church General Treasurer, stabbed her and the Husband with Matches and the following Morning She gave up the Ghost(May her Gentle soul Continue to rest in Peace), in 2017 a Pregnant Daughter of the General Secretary died in a Controversial Circumstance with 7Months Pregnancy few months after the Father spoke with Newsmen in Jubilation of the Recovery of the National Secretariat of Assemblies Of God Nigeria in Enugu. We all know the Pain of losing our Loved One’s not to talk of losing a Child one Suffered to train in Primary, Secondary and University Level, yet this Leaders endured the pains while believing on the reward of the Lord for the Wicked. Shortly after the Supreme Court Judgement, the Church Leaders moved to Recover all the Properties of Assemblies Of God Nigeria, yet again some members came with the option of Peace and Reconciliation, which the Leaders accepted. 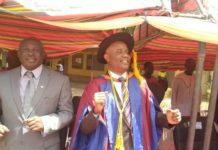 Of course, the General Council Officers Rev Dr Chidi Okoroafor, Rev Pst Ejikeme Ejim, Rev Dr Godwin Amaowoh and Rev Dr Vincent Alaje yielded to the call for Reconciliation, yet again Rev Paul Emeka abused the terms of the Reconciliation, came on facebook to attack the Leaders of the Church Again. It is pertinent to note that Rev Paul Emeka was not Suspended by Rev Dr Chidi Okoroafor, Rev Pst Ejikeme Ejim, Rev Dr Godwin Amaowoh nor Rev Dr Vincent Alaje, rather the General Committee took the Decision at its 2014 Meeting. Assemblies Of God Nigeria needs Peace but not at all Cost, a man who Fought a Church with every available arsenal, Sponsored Burning of Churches cannot give conditions to the generality of the Church when he ought to apologise over his devilish Roles. Even when Rev Paul Emeka was busy attacking the Church, the Leadership of Rev Dr Chidi Okoroafor was busy attacking the Devil through Evangelistic Programmes, Church Planting, Revivals and Spirit Filled Conventions. 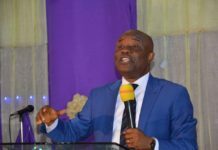 For peace to reign, Rev Paul Emeka must Apologise to the General Council of Assemblies Of God Nigeria, anything outside Apology and serving the Suspension melted on him in 2014 is an encouragement of Insubordination and abuse of the Constitution and bye-laws of the Church. 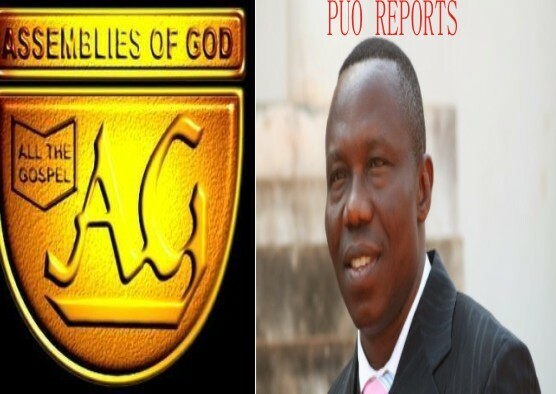 Assemblies Of God Nigeria was in existence before Rev Paul Emeka was born,became a member, went to the Bible School, manipulated the processes to emerge General Superintendent in November 2010. While we seek for Peace, let us put into consideration the fate of those who lost their Loved one’s at the battlefield,let us vividly put into consideration that if Paul Emeka refused to accept the Generous Olive Branch of the Church, a Pastor can rise Tommorow ,sue the Church to Court or even hire Cultists to attack its Leaders and at the end, give the Church terms to end the Attack. We Need Peace, but not at all Cost. Promise Uzoma Okoro Wrote from Umuahia.